Did you struggle to find inspiration over the summer? You might not be the only one judging by these me-too efforts. At least Jack Dorsey and Sir Martin Sorrell are having some fun. Inspiration is a notoriously difficult muse to summon so could teams from McCann Bristol and Wieden & Kennedy been at the Monty Python’s Flying Circus box sets while they were hunkered down drinking cider and eating crisps over the summer? Diary only asks as both agencies seem to have taken inspiration from the seminal series for their respective Westons Cider and Tyrrells ads, both of which broke within weeks of each other. 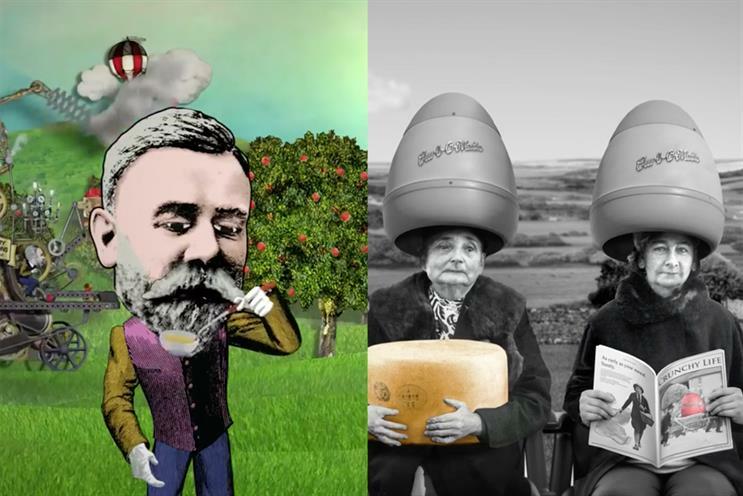 Weston’s brand manager Tim William says his spot "gives an insight into the big personality of the man behind the cider", while the Tyrells marketing chief Adam Draper says his TV ad brings to life "the quirky and irreverent nature of the Tyrells brand." Take a bow Terry Gilliam, this must be among your proudest achievements. Elsewhere, Clear Channel and JCDecaux are both championing street photography with their "My Town" and "Portrait of Britain" competitions that are also running concurrently. Clear Channel’s My Town will see photographic images from members of the public displayed on digital out-of-home sites across the UK. JCDecaux’s Portrait of Britain will feature amateur and professional photographs of contemporary British life displayed on digital out-of-home nationwide. Clear Channel claims that its competition is the largest, however, so on the assumption that size – if not originality – matters, it can be declared the winner. Jack Dorsey made it to Dmexco to take part in an on-stage conversation with Sir Martin Sorrell this year, 12 months after the Twitter founder failed to show up because he was in abortive sale talks. Dorsey did the talk "in his pyjamas" from California by Skype last year, the WPP chief recalled. "Some would say you're still in your pyjamas," Sorrell, in a smart, navy suit, joked, as he welcomed Dorsey in black sweatshirt and slacks on stage this year. Campaign Diary: is the Guinness ad a 'cowboy effort'?